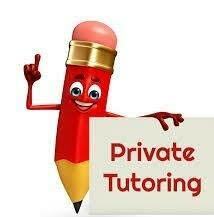 Provide excellent & result oriented private tutoring from Kinder to Grade 12. My son loves going to and. Shamsah’s class because she makes learning fun. She is very Positive, very enthusiastic & always encouraging kids to do their best. She and her team motivates children and keeps them interested. I have had a great experience with Ms. Shamsah and would definitely recommend her to others. She’s very caring and patient and makes sure she takes time to talk to the parent and get to know the student and connect with them! Everything about school in advance to prepare for child their education. I'm so glad my child go to Shamsah tutoring. Her tutoring agency helped my son in school! He was failing and now passing! Shamsah went above and beyond my expectations. When going through difficult times in my life she made my daughter a priority. I would highly recommend anyone to her company. Initial Assessment and meeting with the parents to find the area needs to work on.